Names updated by George Mitcheson, off the Facebook Bedlington Remembered site. The original photo was posted on the Facebook Bygone Bedlington site by Andrea Warner. Eggy, nr. 24 might be Pauline Tatlock (2nd Street). Ask George what he thinks. 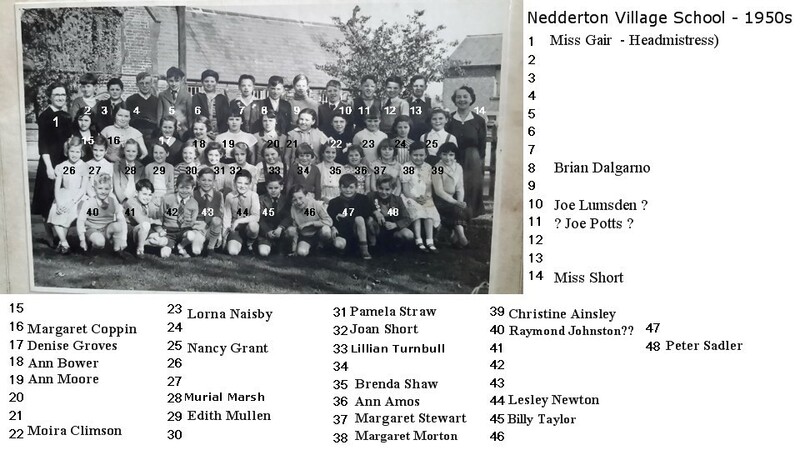 She ought to be on this photo somewhere as she was in the same class as Lorna Naisby and Margaret Stewart. I see No. 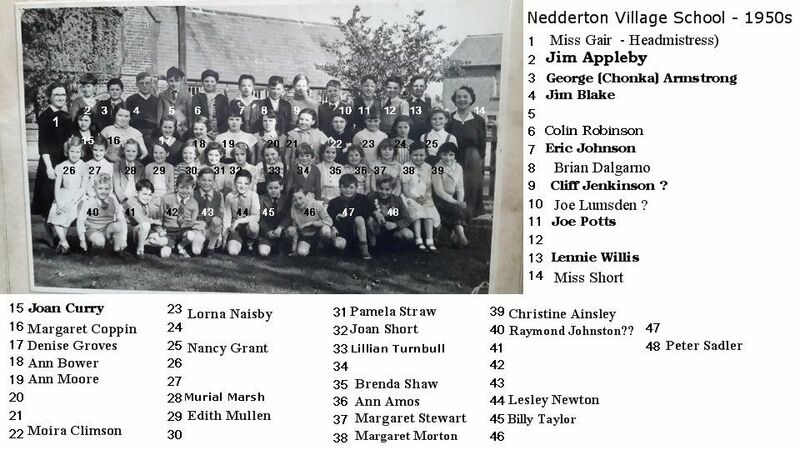 40 is shown as Raymond Johnston?? I only knew of one Raymond Johnstone ( my younger brother in Bedlington. 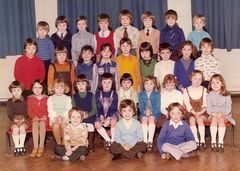 The photo is not of my brother who attended the Council School West end. @Rigger - No 40 removed. I can see where I added the name on this site but can't see where I got it from - must have been one of the Facebook group members that thought is was Raymond. Quite right, Rigger. That's definitely not Raymond Johnson, though there was a lad with that name in Netherton Colliery. 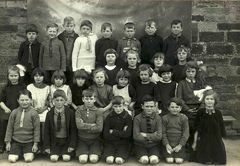 However, he was a couple of years older than the children in this picture. Thanks I was not aware of another Raymond Johnston. My brother had bright ginger hair, guess what his name was? It's now very white and like a wire brush.